If it's real, it's slimmer... and rounder. Wondering what Sony might have in store at its September 7th PlayStation event? You might be getting a sneak peek. An online classified listing purports to be selling an as yet unreleased "slim line" PS4 that would be thinner, rounder and (let's be honest) decidedly plainer than the original. There's no mention of whether or not this would be the vaunted 4K-capable Neo, but that seems unlikely when Sony said that Neo would be a more expensive complement to the base system -- 500GB looks pretty basic to us. We'd take this apparent leak with a big grain of salt, although there are things in the photos that check out. 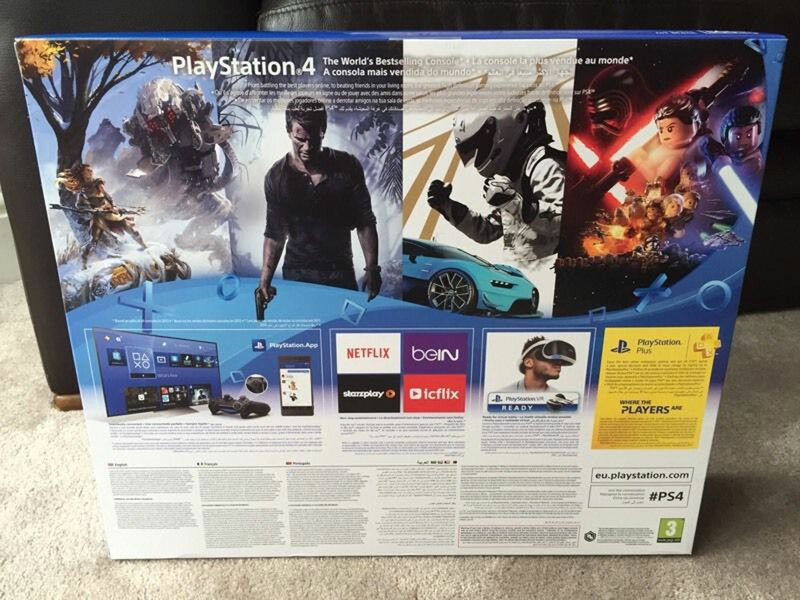 The packaging is decidedly different than what you get with the current, standard edition PS4 including a different model number (CUH-2016A) and a plug for PlayStation VR. And the system itself? As long-time PlayStation fans will attest, Sony has a habit of introducing refreshed consoles that aren't as ornate as the first-run systems. You'll likely get the full story in a couple of weeks. Update 2: The WSJ has confirmed from unnamed sources that two new PlayStation 4 models will be revealed at its forthcoming event.